We are a small farm in Millers, MD using sustainable, organic techniques but not USDA organic certified. Green Bird specializes in raspberries, (red, black, golden) heirloom tomatoes, (we do some custom growing) colored carrots, beets and arugula. Cut flowers are available in season, as are smaller amounts of produce such as kale, raab, leaf lettuce, alpine strawberries, rhubarb, and chandler strawberries. We also have a small aronia plantation that is maturing. Aronia is a superfruit berry with a rich merlot flavor best used in sauces, wines, and other processed recipes. A natural grown orchard will be maturing in the next three years, to provide the community with chemical-free tree fruit. We sell various jams and jellies from the farm in quantities of 1 case (12) or more. 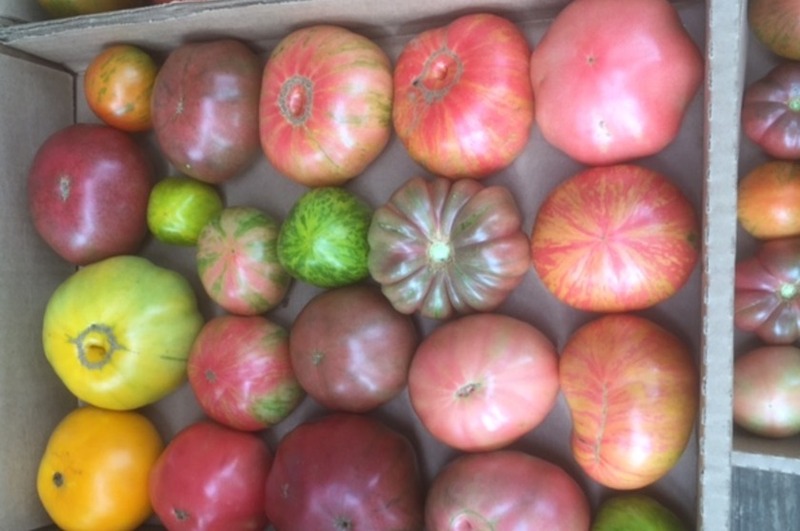 Though much of our produce is sold at out two weekend markets; Ellicott City on Saturdays, and Catonsville on Sundays, we are always happy to have small wholesale accounts with restaurants and produce stands. We will open a produce stand on Shaffer Mill Road in Millers, MD in Spring 2017. We also have a small orchard in Adams Co., PA, where we produce conventional fruit and produce only for our farmers market venues. Products Overview: Raspberries, Heirloom Tomatoes, Greens, Asparagus, Rhubarb, Goji Berries, Aronia, Cut Flowers, Strawberries, Jams made with organic cane juice and low sugar. Future products: blueberries, tree fruit (pesticide free), gourmet mushrooms, honey.